7075-T6 Aluminum Flat & Square Bar will be added to your quote! 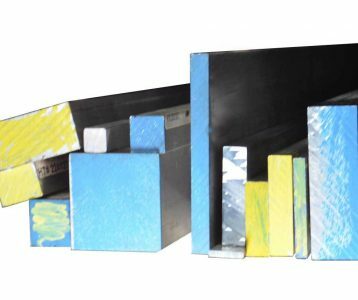 7075 Aluminum: one of the highest strength aluminum alloys used for highly stressed parts where strength is extremely critical, good machinability, excellent strength-to-weight ratio, only average corrosion resistance; improve resistance is normally obtained by cladding parts. Sometimes used in place of 2024. AED typically stocks 7075 Flat and Square Bars in extruded form (T6511), which meets Federal Specification QQ-A-200/11. Cold finished (T651), which meets QQ-A-225/9, may also be available on request. 7075-T6 Aluminum Flat & Square Bar will be added to Cart!